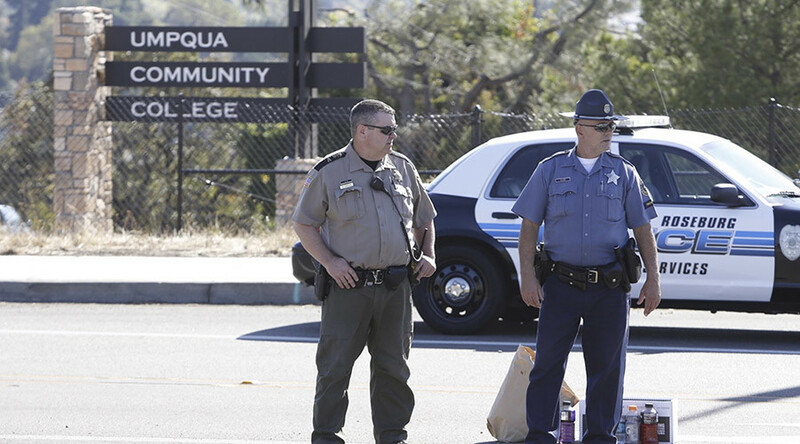 A shooting at Umpqua Community College in Douglas County, Oregon has claimed 10 lives and injured seven people, law enforcement said. Police confirmed that the suspected gunman is now dead. "This is a mass casuality event" Douglas County Sheriff John Hanlin told reporters. "We don't anticipate releasing all the names of the victims for 24 to 48 hours. The law enforcement investigation into the shooter...is ongoing." Over two dozends of people have been injured, many are still in hospitals, some are in critical condition. We have received 9 patients from the UCC tragedy and 3 more enroute. Please continue to pray. 3 #UCShooting victims at RiverBend, all female between ages of 18 and 34. Others may be transferred here later. 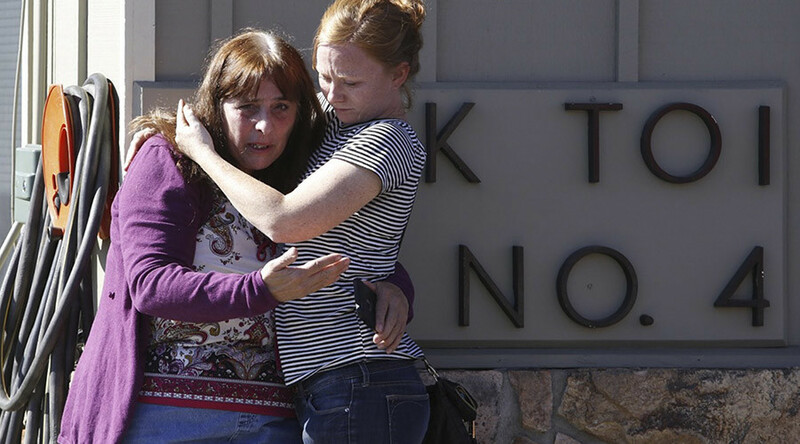 The shooter was described as a 20-year-old male by Oregon Governor Kate Brown. His motives for the shooting are unknown. Local media report he was not a student at UCC. Hanlin said police received phone calls reporting an active shooter around 10:38 a.m. A tweet at 10:45 a.m. also said that there was an active shooter at the college. According to audio from one of the 911 calls, the emergency dispatcher was heard saying there there was someone outside one of the doors in Snyder Hall and the individual was “shooting through the door,” noting that one female had been shot at the time. The dispatcher said there were approximately 35 people the classroom. Officers were heard telling the dispatcher that there were “unconfirmed reports” that the shooter had a gun while they tracked him to a classroom in the southeast side of the hall. They told the dispatcher that there were multiple gunshot wounds at the scene. Students were moved off campus by authorities, with bag checks and patdowns occuring before they were allowed to leave. Four guns were found at the site. Any potential motives of the shooter are unclear and not confirmed. One student said the gunman was asking students about their religion before shooting, according to UCC's college newspaper The News Review. "The shooter was asking people to stand up and state their religion and then started firing away," the paper reported, citing 18-year-old Kortney Moore. Moore was reportedly in a writing class when she saw a gunshot come through the window. She also said that she saw her teacher shot in the head, the News Review stated. Oregon Governor Kate Brown has ordered all flags at half-staff until sundown Friday to honor victims of the shooting. A vigil will be held at the Douglas Fairgrounds amphitheater tonight. Umpqua Community College has 3,300 full-time students and 16,000 part-time students. It is located about six miles from the town of Roseburg, Oregon. Umpqua Community College allows students to carry guns on campus. The State of Oregon allows people with concealed weapon permits to bring concealed guns onto campus as well.